Converted and painted for an article in UK White Dwarf #283. During the painting of these models I discovered a special glazing technique using Tamiya Clear Colours mixed with Citadel paints. 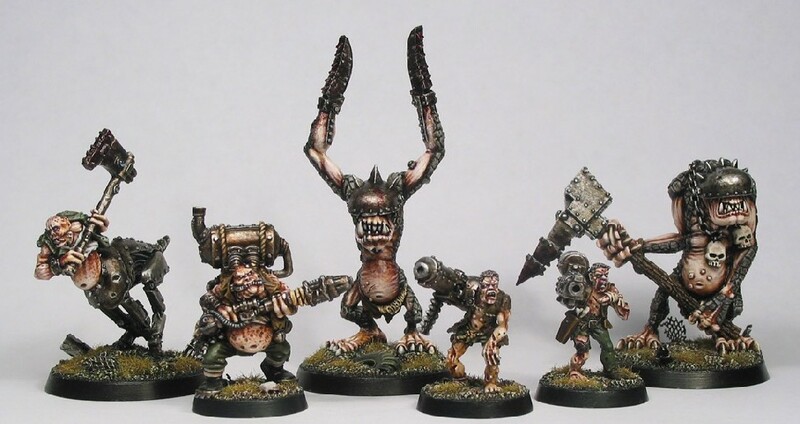 My Chaos Nurgle Giant is related to these model both conversion- and paintingwise.